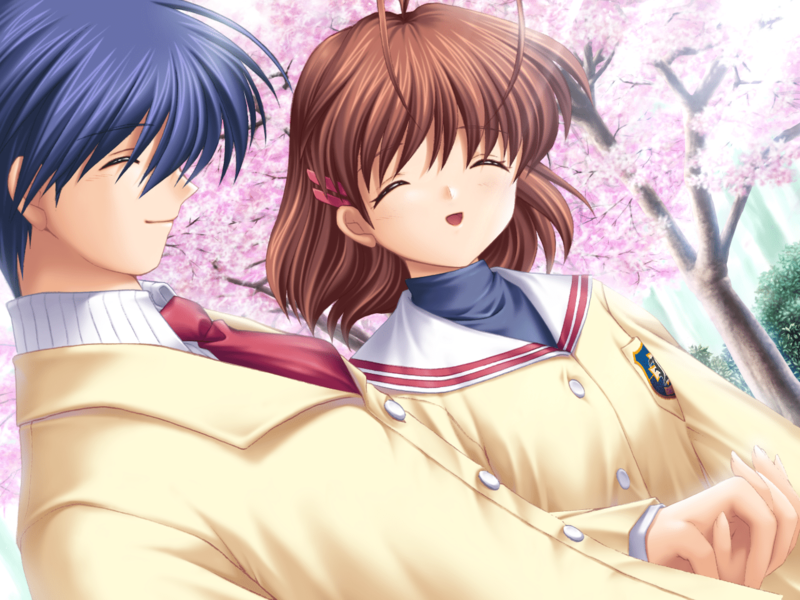 In this edition of Building Character, I’d like to take a look at the primary couple in CLANNAD: Tomoya and Nagisa Okazaki. Before we begin I’d like to note that this editorial contains major spoilers for the CLANNAD visual novel and both anime series’. Now, with the warning out of the way, let’s get started. From a simple, unassuming meeting at the bottom of the hill leading to the school blossomed a strong, enduring relationship between two completely different people: the delinquent and serial truant Tomoya Okazaki, and the meek and feeble Nagisa Furukawa. A chance encounter and a few words of encouragement from Tomoya had a profound effect on Nagisa, inspiring her to keep going, one step at a time, with Tomoya by her side all the way. With his help she is able to make new friends, reform the drama club, and perform in her own play, which seemed like a distant dream at the start of the story. Come the After Story route and the second anime, Tomoya has graduated from high school while Nagisa has stayed behind after missing too many classes due to a long-lasting illness at the end of the year. Tomoya stays with Nagisa as best he can, first taking work at the Furukawas’ bakery and ultimately finding other work so he and Nagisa can move out and start living on their own. And so truly begins their obstacle-filled life together. Tomoya makes a vow to himself, to Nagisa, and to Nagisa’s parents to take it upon himself to make Nagisa happy. Tomoya, who in high school was unmotivated and lazy, suddenly has something that he finds worth working hard for. For the first time since an injury kept him from playing basketball he has a goal in life. In return Nagisa vows to become stronger, to stop crying from sadness. She finds the strength to do this with Tomoya’s support. Their lives are far from easy as they face obstacles throughout the entirety of their life together, starting with Nagisa’s struggles to restore the school’s drama club, to her recurring illness forcing her to repeat a third time while Tomoya moves forward in life, to Tomoya’s father landing himself in prison, all the way through to the birth of their daughter Ushio. And they get through it every time, even after Nagisa dies giving birth in the first run through After Story. After Tomoya is forced to face reality by Sanae and Akio leaving him alone with Ushio for a weekend, Tomoya manages to reconcile with his daughter and they begin living together. CLANNAD is a story about the true, pure love that exists between Nagisa and Tomoya. It shows that nobody is an island, and that everyone needs other people supporting them in order to get through their lives. 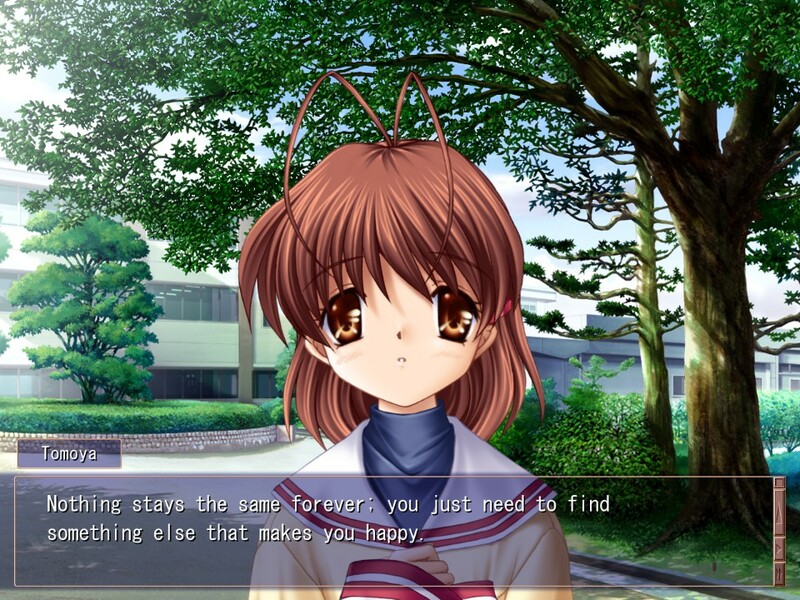 Everyone needs something to inspire them to keep moving forward and Tomoya provides an example of how a life can be both with and without that driving force, from his empty delinquent life leading to his fulfilling life with Nagisa, to working and gambling his life away after her death, to feeling revitalized and reinvigorated after reuniting with Ushio. Nagisa shows this as well, becoming stronger over time due to Tomoya’s ongoing support, right up until the end. 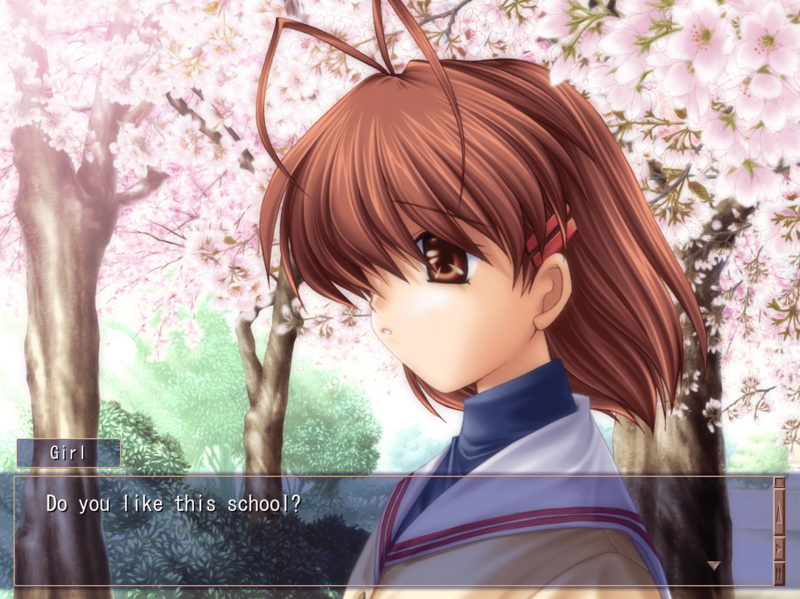 Over the course of the two stories she grows from the girl who blames herself for having no friends, to being able to rebuild the drama club on her own, into someone who is willing to risk her life to give birth to Ushio. Even at times when Tomoya screws up and is worried that Nagisa may resent him, she never does, instead considering herself lucky to have someone like Tomoya who was willing to stay with her. Tomoya, meanwhile, always believes that her trust is limited and is dreading the day when she’ll change like the city around them, leaving him behind in the past while she moves on. While he was the catalyst for Nagisa’s gradual change in development, he is terrified that he might not be able to evolve alongside her and that someday she might no longer love him. He even grows to regret his apparent interference in Nagisa’s peaceful life and prompting her to change, since it ultimately led to her death when giving birth to Ushio. He blames himself for Nagisa’s death, believing that if he had never met Nagisa she may never have had to die, and maybe she and everyone else would be better off that way. It is Nagisa who breaks him out of his regret, telling him that even if it cut her life short, the time that she spent with him was still worth it. A gentle push at the bottom of a hill marked the beginning to a pure, unbreakable love transcending worlds and the barrier between life and death.